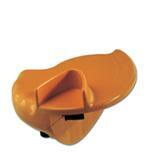 Choose a Handle and Look for the Replacement Blades Listed in the Related Products Section for Each Handle. 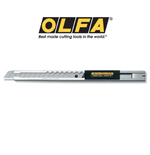 Olfa 9mm Standard Duty Cutters use the Famous High Quality Olfa Snap-off Blades. Great For Jobs Requiring The Ultimate in Precision. 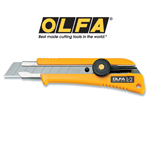 Olfa 25mm Extra Heavy Duty Cutters use the Famous Olfa Snap-Off Blades. 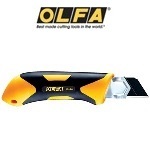 For Extra Tough Jobs Requiring a Sharp Blade. 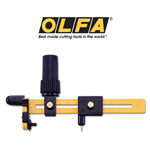 Olfa Circle Cutters Make The Perfect Circle Cut Using The Famous Olfa Blades. 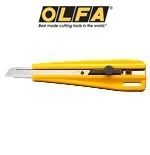 OLO Carton Cutter Safely Prevents Injuries With A Double Protection System That Keeps The Blade Shielded Even During Use.